Do you own a business, which runs fantastically offline but is struggling to make its social media presence? 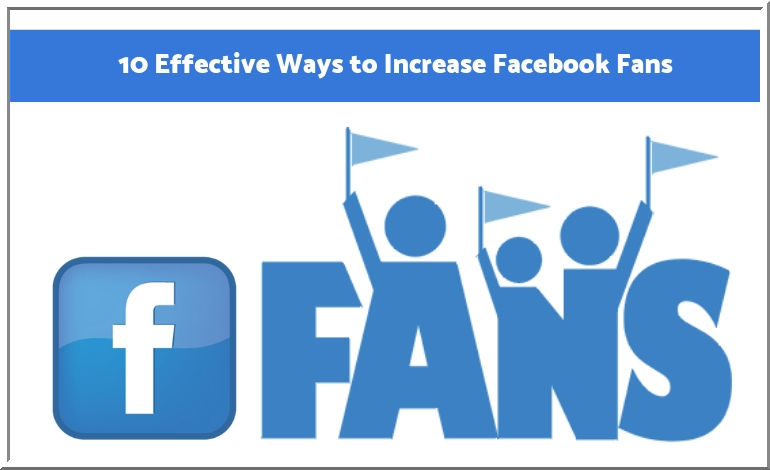 Are you looking for effective ways to increase Facebook fans? You have come to the right place! Let us discuss the most effective ways to enhance your business’ social media presence and increase your reachability through online mode. Facebook is undoubtedly one of the most popular platforms in social media, which caters to approximately 2.2 billion users every month. If you tend to use the Facebook platform for advertising your products and services, you can definitely gain profit out of the implementation, provided you are using the right tactics. 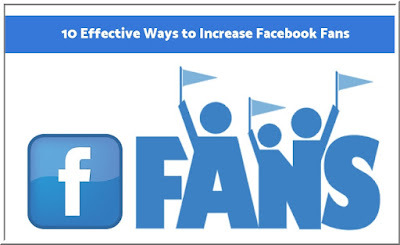 Without wasting much time, let us discuss a few effective ways to increase Facebook fans. One of the best ways to attract more followers to your Facebook Page is by adding a Facebook “Like” button to your popular blog posts. Hence, the readers who happen to follow your blog and resonate with your idea will hit the Facebook Like button and automatically become your page fan/follower. It is a great folly to not connect your social media profile across your blogs and other active social media pages. In order to ensure your visibility, do not forget to add your Facebook Page link to other social media handles. Make sure that you have accounts on Twitter, YouTube, Instagram, and Facebook. If you are yet to create a profile on these platforms, then do it immediately and add your Facebook page. This method is considered to be one of the most effective ways to display advertising as it helps you to scale up your followers across your social media pages. Add a CTA button like Facebook Share button in your post to allow the users to share the post. This immediately increases the visibility of your page and blogs alike and you can grab a chance to increase your readership. This method is also very effective to enhance readership. For this, you need to interact with other website owners and collaborate with them to promote each other's posts or ideas. It is a refreshing idea to post something different on your site to encourage your readers to explore other pages and their readers will, in turn, pay a visit to your pages and follow you back. The most important aspect about your page that will keep the users glued to your sites and social media profiles is undoubtedly fresh content that compels them to go through your posts. Even the most successful digital marketing company in Pune, Delhi or any other place follows this strategy and shares unique and original posts regularly to grab user attention. At times, you need to post your blog posts through your personal profile, which encourages your online friends to check out your official page if they haven't already. If they resonate with your perspective shared over the blog post, they will immediately share it with their friends and the chain will continue and gain you more readers in the future. Whenever you are promoting certain Facebook posts, you will see that few people tend to just like the post but don’t follow it. You can increase Facebook fans by inviting such users to like your page and subscribe to your latest updates. One of the best ways to make use of email marketing is to add your social media links in your email signature. Few people who are your ardent followers will definitely love to connect with your over other mediums and follow your page. Many times, you can see that few people tend to participate in certain threads started by your competitors. If you have a sound knowledge about the topic, you can also participate and add valuable information to the thread. Do not forget to use your Page Identity while replying. This will garner more visibility to your Facebook Page and get you more followers. Many businesses use this method to increase their fan following across their social media profiles. Introduce an offer or an attractive discount for users who like your page and add a testimonial to it. In this way, you would be adding more authentic reviews to your profiles and getting genuine followers as well. Although a lot of tactics are available to increase page followers illegally, it is not advisable for the long run as it hampers your visibility and page rankings. Always choose effective and authentic ways to promote your Facebook pages to capture more sales in the future.